Learn 5 fundamental strategies for boosting retail sales! "It takes 12 positive customer experiences to make up for one negative experience." That stat courtesy of Salesforce should make all retailers rethink their hiring, training, sales, reporting and loyalty strategies. 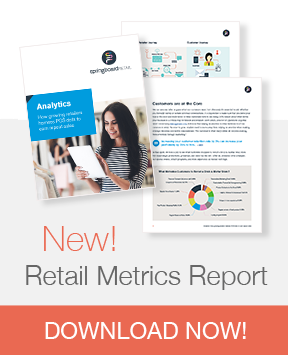 If the customer experience is the "next competitive battleground" then each and every store employee must have all the tools and training they need to empower them to sell more, profitably. Get an edge, learn how to improve sales with these retail tips. Springboard Retail POS gives you the sales tools you need to compete like a retail giant! 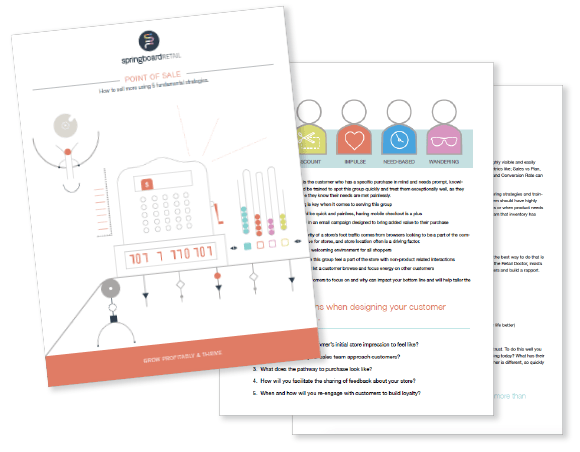 Springboard's easy-to-use point of sale and reporting features help your team do what they do best: make customers happy. With custom fields and reporting, customer history dashboards, integrations with top engagement and loyalty platforms and portability across devices, Springboard is quick-to-start, user friendly and revered by customers nationwide for making their jobs easier.